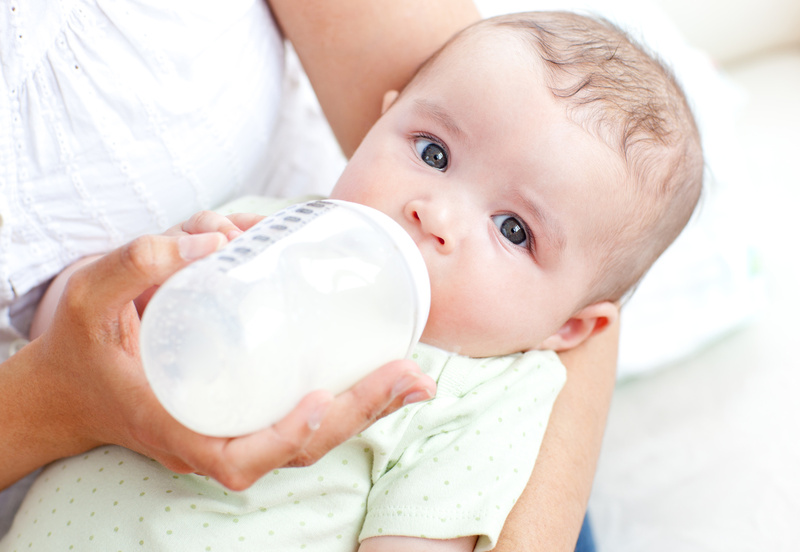 Bottle feeding formula or breastmilk is a convenient method of providing your baby with nourishment because it is possible for anyone to feed the baby. There are plenty of great tools on the market that provides day to day breastfeeding help and make formula feeding a breeze. Many parents aren’t aware of these amazing products and miss out on receiving them as gifts for their Cleveland baby shower. Here are some of our bottle feeding product favorites to help you in preparing for you Cleveland baby. Anyone who has bottle fed a baby consistently for any length of time can tell you that it can sometimes be a very messy endeavor. Fortunately, the folks at Aiden and Anais came up with a great bib design to help minimize the mess and save you the hassle of cleaning it up.The bib is made of ultra-absorbent material with the same level of softness you’ve come to expect from their swaddles. The design ensures that even the smallest of dribbles never makes it past the bib. As an added bonus, it readily converts to a burp cloth making it a wonderful bottle feeding product. This bottle warmer from Philips is an excellent bottle feeding product because it takes the guesswork out of getting breastmilk or formula to just the right temperature for feeding to baby. In addition to being accurate, it is also fast making it a great purchase (or registry item) for anyone planning to bottle feed. The ease of use combined with the other features mentioned will make the Philips Avent Bottle Warmer a favorite with your Cleveland newborn care specialist or postpartum doula. The Boon Lawn is an outstanding bottle feeding product for nursing support because it is fully equipped to handle all the little (and big) pump and bottle parts that come along with breastfeeding. This unique drying rack is available in a wide variety of arrangements that allow you to dry a wide number of parts of varying shapes. There are even attachments to make use of vertical drying space in addition to the more than adequate horizontal drying space. The decorative nature of the Boon Lawn adds a playful element to your kitchen that kids and adults alike love. The Avent Formula Dispenser is the perfect on the go bottle feeding product for a formula fed baby because it provides you with the perfect amount of formula each time. This one takes the guesswork out of mixing the right proportions of formula when away from home. Make sure this one is in your diaper bag or on your registry if you are going to be formula feeding your baby Cleveland. Sticking with the theme of formula feeding, the Dr. Brown Formula Pitcher is an excellent bottle feeding product for those with twins or those expecting multiples. The Formula Pitcher is a formula quick mixer that excels at making formula in bulk. This is a lifesaver when dealing with multiple hungry babies. Compact and excellent for traveling the Oxotot On-the Go-Drying Rack. The thing that makes this bottle feeding product better than many of its competitors is its portability. The convenient carrying case allows venturing out of the house without fear of how you’re going to clean bottles should your baby need to feed. It is also great for family travel as it allows you to dry items even in a hotel room.